Winter 2019 is finally done with. If this winter season could be summed up in one word ,it would be relentless ! It seemed to start earlier then previous years and definitely ended a lot later.At least our snowplow and heating oil guys were happy about with this winter,if no one else. So,Spring has finally arrived, & so has a lot of new gear ,here at the store . Lots of new guitar models,FX pedals and amp gear are all making their way onto our shelves as we play "catch-up",with the amazing selection we're stocking. As always,Thank You for your business ! 2019 marks our Forty Seventh (!) in operation ! 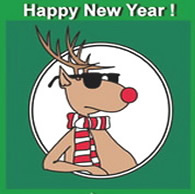 Stay tuned to our store,website,and Facebook page,as we introduce even more cool gear over the course of the year.This year, more than ever,we'll be stocking lots of amazing bang-for-the buck stuff,that you likely won't find anywhere else or at every other garden variety bigbox store.As before, our repair shop will be offering an even larger slate of repair & mod service options. Our rentals section will be expanding once again, with an even larger selection of FX lighting and systems,most of which you won't have to be an engineer to set up and operate.Throughout 2018 ,we've invested in much more tooling for our speaker cabinet builds and you'll be seeing the results of that with several unique new product lines that will be available direct from our shop, over the next several months. We want to, once again, thank all our friends and customers (and competitors?) for making this all possible.We couldn't have "dunnit",without ya! 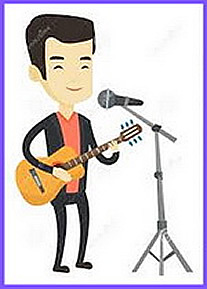 Do you play an acoustic instrument and are looking for somewhere to play? Bistro & Cafe located at 110-705 Cotton Mill Street,right here in Cornwall ! Please feel free to share this info with your fellow musicians ! We've received another shipment of soprano/tenor/concert & baritone models,as well as cutaway and acoustic-electric models ,all set up in our own shop to play superbly.Rainbow Music Shop also stocks SIX string ukeleles too ,as well as clip-on Uke tuners/capo/stands/gigbags/picks-yep,we've go all that stuff too! Yes ! Rainbow Music Shop rents LIGHTING ! Featuring the ADJ Agressor HEX LED-one of many lighting FX and systems available for rental,LOCALLY, from our shop. 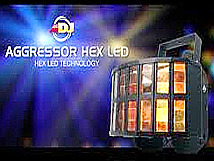 The Aggressor HEX LED is easy to set-up and use as it's 60 Sound activated reactions move to the sound of music. ADJ has added IEC In/Out connectors to conveniently daisy chain power from one fixture to the other. 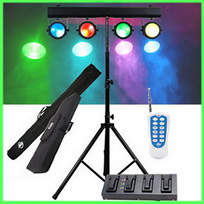 Featuring the ADJ DOTZ-Par system-one of many lighting FX and systems available for rental,LOCALLY, from our shop. This complete,lightweight system delivers amazing performance.It transports in two slim,soft cases and sets up literally in minutes. 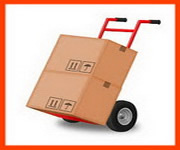 The rental includes the stand/remote foot controller as a well as wireless remote control. lighting systems that can add that something extra to your next gig or special event. requested services,to be done locally,here at our 1418 Pitt street shop. with plently of tooling, AND parts get the job done ! Lots of new guitars & basses from Ibanez have arrived including some Limited Edition models.These include the 50th Anniversary all mahogany Destroyer,a pair of Steve Vai Jem JR.models in retro 80's finishes.New SR basses in outstanding new finishes as well as the short scale Talman Bass in Walnut with PJ pickup set and active equalizer.Limited Sabre Series S-771 in poplar burl satin finish,SA160FM in LEFT HAND, stunning SA260 ,SA 360 and S621 quilt top models too,all amazingly affordable. If you haven't noticed yet,the guitars section has been broken down into SIX separate sections.All guitar brands are listed alphabetically.You can access any of the six sections by clicking onto the selected tab of your choice,on the sub menu bar at the top of each of the guitar section pages. The woodshop here has been very busy over the last several months,cranking out many new items,all under the Sherlock Audio banner.These include new very compact PA cabs,210 and 4x8 guitar cabinets.We're also making a little product line called Wingman that lets you "fly" a typical small amp on a regular mike stand so you can get your amp up off the ground and up in the air so you can hear yourself properly.The Wingman also has an integrated mike holder so you can also mike up your amp,back to the house PA system and use your Wingman "enabled" amp as your own monitor on stage.Many new products have been designed and will be making their way to the shop to be built,right here. Another shipment of MOOER FX has arrived.These guys just keep coming out with more & more cool fx at everyman prices that won't dent your debit card. We now have the FreeStep wah+volume pewdal,the PitchStep harmonizer for guitar,The Radar Impulse Response cabinet simulator and the extra clever RedTruck FX unit for guitar. Check out the video demos in our fx section or check 'em out here at the store .WE carry the area largest selection of Mooer FX around,IN STOCK ! Another shipment of Laney's best sellers is now in stock including their AudioHub 210 pa system.Amazing performance & bang for the buck in a all-in-one compact pa system. The new Laney AH115 active speakers feature built in mixer and Bluetooth capability and loads of clean power. Rounding out this shipment is the ALL tube CUB10 guitar combo amp.Warm,fat singing,tube tone in an amp you can carry around without inducing a hernia! We carry the best selection of Laney gear,in Eastern Ontario ,right here locally ! We're kicking off the new year a slew of cool new products like the VOX MV model amplifiers with their revolutionary NUTube Technology.New VOX VX50 series combo amps that pack a whopping 50watt of power into a cabinet that's about the size and weight of a lunchbox. From Seagull comes their newest S8 mandolin with a under saddle pickup system and versatile equalizer. The stunning,new Alvarez super jumbo acoustic-electric,cutaway, 12string guitar now features an L.R. Baggs pickup system. 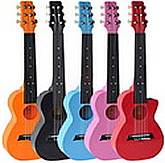 We now have the latest new "graphic" ukeleles from BeaverCreek in stock. Danelectro's latest Billionaire FX pedals have arrived and of course they offer lots of wicked tones for affordable bucks,as usual. insanely high value and performance,that won't dent your debit card ! We have also restocked many new Canadian made ART & Lutherie acoustic-electric guitars (again,and again),that have caught on with players looking for something different! We tend to specialize in that. Aaaaand,we're not done yet-Stay tuned for more new upcoming gear announcements here,and on our facebook page,over the course of the year. Thank You once again for your continued business ! Happy 2018 to all our friends & customers for making our 45th Anniversary Year another memorable one ! As we start off our 46th year in business,stay tuned our website and facebook page for LOTS of cool,new productsand upcoming custom builds from our shop, as well as many new services you wouldn't expect from any other music store ! Thanks You for your continued trust and patronage throughout 2018 . Thank You ! -from Rainbow Music Shop,to all our friends and customers for another superb spring & summer season,making this one our busiest in 45 years of operation. to be announced,throughout this fall & winter season . Thank You for making us the REAL Number One ! at the beginning of each month,throughout the year. Congratulations and thank you to all who entered and making these draws such a sucess.Our NEW Draw for the Month of August starts today,so fill out an entry form when you visit our shop. 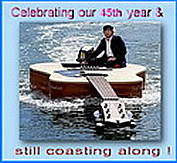 Stay tuned for more ,at Rainbow Music Shop,during our 45th Anniversary ! Congratulations and thank you to all who entered, and making these draws such a sucess.Our NEW Draw for the Month of July starts now,so what're you waiting for? Fill out an entry form when you visit our shop-you can't win unless you enter! Our Prize Draw continues throughout the year,with a different set of prizes every month to be won. 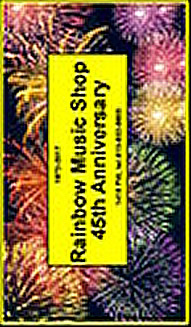 Stay tuned for more ,at Rainbow Music Shop,during our 45th Year Anniversary ! Vinyl Cleaner & Restorer for cleaning grime & gunk from amplifier & speaker cabinets. Simple Symon cares about the environment too! None of our products use any CFC or other nasty fluorocarbons that can harm our atmosphere.Our spray and pump products rely on good old,safe,manual propulsion,courtesy of your own fingers. Plaease DO NOT discard our containers in the trash-they're RE-cyclable ! 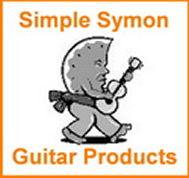 for a 50 cent credit on your next bottle of any model of Simple Symon guitar & amp care products.All Simple Symon Guitar care products are custom blended for the music industry and packed locally,in Ontario Canada. Congratulations and thank you to all who entered and making these draws such a sucess.Our NEW Draw for the Month of June starts today,so fill out an entry form when you visit our shop.Stay tuned for more ,at Rainbow Music Shop,during our 45th Year Anniversary ! Thank You to everyone who helped us kick off the first of our Rainbow Music Shop 45th Anniversary, monthly draws ! Bob Gets to stay in tune with a new Korg PitchCrow Headstock Tuner. So,the Giveaway Barrel gets emptied for another round of entry forms, for the Month of May.What are you waiting for? Fill out an entry form whenever you stop by our shop. Well,there's still snow on the ground,but the calendar confirms it's April anyways. And with that ,we'll continue marking our 45th Year Anniversary,in 2017 as well. at the end of each month, as our way of saying "Thank You",for FORTY FIVE amazing years ! Whenever you visit our store,just fill out an entry form. The winners names will be drawn & announced at the end of each month on our website and facebook page. The "drum" gets emptied at the end of each draw,and we start the next month fresh,so everyone gets a fair shot every month. The giveaway for April is a Stagg Stinger Travel size electric guitar package,complete with gigbag/mini-amp/strap/tuner/picks & cable ! The Second Prize is FOUR sets of Cleartone Reds,treated acoustic strings. Make sure to share our 45th Anniversary Giveaway Draw with all your FB friends too ! Thanks for making US the REAL Number One ! 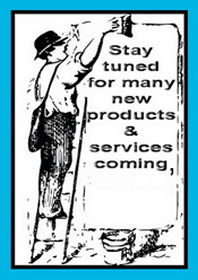 Stay tuned as we introduce even more new products and brands you wouldn't necessarily find in every other store on the proverbial block. While many music stores seem to be content being stuck in neutral and carrying the same-old boring products,for some reason or another,we're constantly on the lookout for more innovative,higher quality,better bang for the buck products for you,our customers.We're also going to bring you many special,limited edition/limited production and N.O.S deals as the year clips along. DV Mark.Also,new Cort Jay-Bass,Cort electro-acoustic nylon string guitar,new parlour sized guitars from Ibanez.The extremely wide selection of Micro-FX pedals from Tomsline Engineering,the latest acoustic powerhouse of an amp from Bugera Amps,that you won't believe when you hear AND lift it! A newly arrived super affordable SEVEN string electric by ESP-LTD,customized in our shop wtht our own DVT control included ! And we've now RE-stocked the line of Focusrite Recording interface units as well.Hey,we're not done yet ! 2017 marks our FORTY FIFTH year in operation! Happy New Year and Thank You to all our friends & customers ,from far & near, for yet another stellar year . We are the Cornwall area's ONLY store that has NOT changed hands over the years, and will remain that way.Thanks again for your trust in our shop. 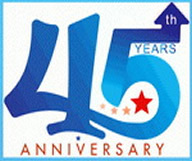 We appreciate your continued patronage throughout these 45 years. 1.Our new revised Store Hours (below) . 2.In order to make enough available time to keep up with existing cabinet builds,repairs, and design work,the retail part of the store will be closed all day Saturdays.This change will remain in place till further notice. As before we will do our best to accomodate our rental customers and ,"weekend customers" so,yes,we can open Saturdays, by appointment ,by calling or emailing ,in advance. 3.As of Jan.2017,in order to keep up with the increased demand for our custom guitar work,as well as speaker cabinet builds,we will ,for the time being,suspend all amplifier & electronic repairs,till further notice. As always we will still provide prority ,full suppport and repair services for customers who have bought their amps & electronics from our shop. Piccolo acoustic guitar from Ibanez as well as their new retro style TMB bass. We now have the latest range of TASCAM porta studios in stock,at very affordable prices.An expanded lineup of OUTLAW FX including their new Lasso Looper Pedal.Stay tuned to this page for more ongoing producst announcements. at special introductory prices ,until Dec 31st ! 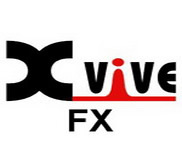 X-vive offers an incredible range of great value fx pedals that let you assemble your own line-up of pedal tones without having to sell off your worldly possessions to be able to afford them either.Rock Star tones at "average joe" prices.Check 'em out ! micro-graphic EQ pedals,for bass and guitar,AudioTechnica wireless systems for guitar and vocals,and there's more on the way! 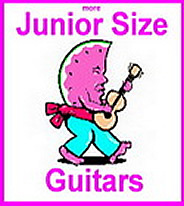 Junior Size Acoustic Guitars at Rainbow Music Shop are here! Our Fall stock of 1/2 sized and 3/4 sized acoustic guitars from Beavercreek have arrived.The half sized models measure 34.25" long and the 3/4 sized models are 36 inches.These guitars are several notches above what you'd find at "the tiger" or "the shack",featuring diecast adjustable machine heads,compensated bridge saddles and properly fretted fingerboards(and actually made from real wood!). we also include a bundle pack of accessories to boot! Thank You-to all our customers,friends & visitors for another amazing Spring & Summer season. 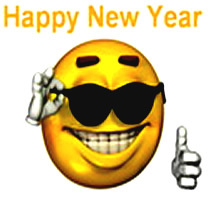 We appreciate your business as we continue to bring you even more cool gear at our unique guitar shop ! 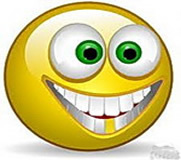 Stay tuned to our store,website,and,now,(yes)Facebook page for upcoming announcements. After likely holding out for the procrastination award,we're finally on Facebook. We'll be loading up the site with a substantial amount of all kinds of cool gear,info,videos and other usefull stuff,so........"like" and share our links with any of your music lovin' friends and stay tuned for more upcoming news. Drawing upon nearly 60 years of tube amplifier design, the all-new AV (Analog Valve) Series from VOX offers players a full pallet of authentic amplifier sounds via eight, all-analog pre-amp circuits .VOX’s AV amplifiers also feature a true analog circuit design based on the classic 12AX7 tube, which lends classic, harmonically rich tones to these amps. The innovative Valve Stage section modifies the circuit to add, or reduce, brightness & bass response, and also allows users to adjust the bias and response of the power section on the fly. Additional features like a unique, sealed cabinet design, three classic effects (Chorus, Delay & Reverb), and a retro-inspired aesthetic establish the AV Series as one the most exciting, and unique, offerings in the VOX lineup. (And yes,they DO sound very good!) 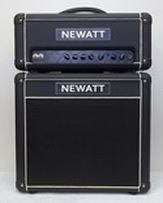 15,30 and 60 watt models have all arrived at our shop. The Orange 25-The compact BASS amp with 25watts rms,8 inch bass speaker housed in a sealed enclosure,tweaked in our own shop for even better response.A responsive three band equalizer,with gain and master volume controls along with a line out,line in(for plugging in your MP3 player or drum machine)as well as a headphone jack make this an ideal practice amp. This Bass 25 weighs in at UNDER 20 lbs,so you won't get a hernia carrying it around either ! $299.00 including bonus high quality orange guitar cable and MP3 cable,exclusively available from our store . line out,headphone jack AND external speaker jack,all weighing in at a very transportable 35 lbs! $429.00 including bonus high quality orange guitar cable and MP3 cable,exclusively from our store. Cornwall's Orange Amp Dealer-WE service what we sell ! New SPARK SERIES MICRO FX are now in stock at Rainbow Music Shop,1418 Pitt Street. Measuring an insanely small 62mm x 60mm x 50mm,these new space saving fx units pack a tonne of tone processing in a tiny package,all with true bypass and powered by your pedalboard power. 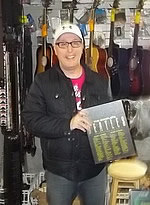 The award winning polyphonic pitch shifter pedal is at Rainbow Music Shop,1418 Pitt Street now! The controls are straightforward and intuitive. An 11-position Shift switch selects the maximum transposition interval ranging from D (Detune), a shift of 17 cents, through Minor 2nd, Major 2nd, Major 3rd, Perfect 4th, Perfect 5th, Major 6th, Minor 7th, 1 Octave, 2 Octaves and 3 Octaves. A three position toggle switch controls whether the pitch is transposed up, down or both. In Dual mode, two pitch-shifted signals are output. One follows the shift knob as if in the Up position while the other creates a harmony. Dual Mode settings include M3 up + P5 up, P5 up + 1 Oct down, 1 Oct up + 1 Oct down and many others. Some of the most highly-regarded guitars in history have many similarities to the affordable and popular ESP LTD EC-256FM like:Mahogany body and 3 pc. neck.Rosewood fingerboard and flamed maple top. Covered passive pickups, set-neck construction, and 22XJ frets? You get it all, without the massive price tag you’d usually expect from such a well-made single-cutaway electric guitar. The EC-256FM is at home on blues, classic rock, hard rock, progressive rock, fusion, and much more,Gorgeous Lemon Drop Flame maple finish-$599.00-includes custom shop setup,premium padded gigbag and TWO YEAR free,seasonal maintenance coverage from our shop. The ESP LTD EC-100QM adds a quilted maple top over its basswood body to bring some style and class to this affordable electric guitar. Great for all genres of music from metal through jazz, the EC-100QM offers a classic and comfortable single-cutaway body shape, two ESP-designed passive LH-150 pickups, along with a basswood body, a maple neck, and a rosewood fingerboard with 24 extra jumbo frets.-$499.00 includes custom shop setup,premium padded gigbag and TWO YEAR free,seasonal maintenance coverage from our shop. 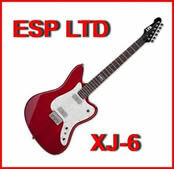 The XJ-6 features a sleek & thin U-shaped neck with 22 jumbo frets,bolted into a vintage styled alder body,finished in a stunning red sparkle.The twin Seymour Duncan pickups with a coit tap switch and our own re-voiced tone control mod offer an excellent array of tones that'll cover pretty much any genre of music.$699.00,including padded gigbag,our own shop setup for superb playability and our own TWO YEAR free seasonal after sale maintenance. $799.00,including padded gigbag,our own shop setup for superb playability and our own TWO YEAR free seasonal after sale maintenance. 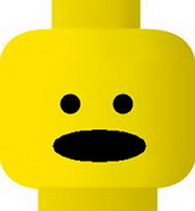 Righty and Lefty models ! Behringer KT108 and AT108 multi-purpose micro-combo amps back in stock ! New-Mooer GemBox Multi-fx with built-in drum machine and Looper ! 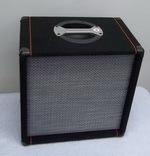 Another shipment of Orange amplifiers,in BLACK,has arrived ! New VOX A V Analog modeling amplifiers now in stock ! Another shipment of Schecter Guitars for 2016 is now in stock with great pricing starting from under 300 buckaroos! and yes,we DO have 7-string models. turn your computer,I=pad,even I-phone into your own personal recording studio,and is available with a slew of superb pro-level software that you know it will work with.We've received our first shipment with several models to choose from,all very affordably priced for this new product launch at our store. Rainbow Music Shop strives to bring our customers the best value products available today and TC Electronic is yet another one of these. We now carry the legendary line of TC Electronic fx processors for vocals and guitar.This professional series of innovative products feature cutting edge technology to deliver pristine sonic response & cleverly thought out features. Our initial shipment has arrived and we now have sevral models in stock,including their reknowned Looper and vocal harmony processor pedals. We are now Cornwall's NEW source for the high quality line of Lee Oskar harmonicas. Now YOU can get Lee Oskar from OUR shop. Rainbow Music Shop stocks all the popular models,in all keys, including the Lee Oskar Orange,Green and Yellow series models,in standard and altered tunings too ! Orange amplifiers have definitely "taken off" .Since we first introduced this amp line to the area,guitar players have taken notice and added "an Orange" to their guitar setup.Orange has gotten it right ,with a nice range of amps that are great at delivering that classic old school "grind" in a compact package in a wide range of combos and tube amp models.For players that DON'T want to spend an hour reading manuals,pressing buttons,scrolling menus,Orange has nailed the easy route with their simple "plug & play" amp design.Yep,plug in and PLAY !! This year we've added even more models in their signature orane vinyl AND more models now in black.AND, we back up and service Orange amps from our store with our own in-house service shop,so you don't have to deal with service headaches dealing with so many other retail sources in the new,nasty economy. We're well into our second decade with the high quality guitars made by Godin,Norman ,and,Seagull.These finely crafted CANADIAN instruments continue to amaze us,and our customers who buy them,realizing what an incredible value they represent in todays economic times,easily surpassing expectations,especially when compared to their much higher priced USA based ompetitors.Rainbow Music Shop now carries THE largest selection in Eastern Ontario of acoustic,acoustic-electric,archtops,folk,mini-jumbos,dreadnaughts, parlour sized as well as their superb solidbody electrics IN STOCK. over hyped "USA label" guitar that's likely made somewhere else,you owe it to yourself to check out our guitars and see what players in the know, have been talking about. 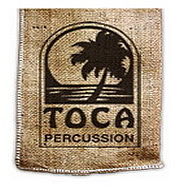 One of our new procduct introductions this year is TOCA percussion. 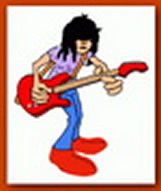 Here's "the scoop"--During the early 90's, the music scene began to bustle with new trends. A new craze called drum circles began making headlines in the news, around the same time a new Latin sound called "Afro-Cuban" was hitting the pop charts with the Miami Sound Machine's hit "Conga". Hand drumming was receiving a great amount of press as more people began to take up hand drumming as a recreational hobby. People wanted to drum for a variety of health and wellness reasons, along with pure enjoyment. All the while, the Latin sound became more popular and mainstream.KMC Music decided to introduce Toca Percussion as a choice in hand percussion instruments and accessories. Toca was designed and developed to have a different look and provide the "Afro-Cuban" sound. These instruments made Toca unique from brands thus giving players and percussionists an alternative choice when looking for hand percussion instruments.All Toca wood drums have two-ply stave shells for added durability and are finished in many vibrant color options. Toca Percussion also offers players and drum enthusiasts a wide variety of percussion instruments and accessories that are designed and tested by players.Today, Toca is proud to be a leading brand in the hand drum and percussion marketplace, and is committed to always offering the player a distinctive choice in style, design, and sound.Now in stock ! January 2016 marks the start of our 44th (!! )year in operation making us one of the very few consistently owned music shops in the area.Unlike many of our competitors who have changed hands several times over the years,with mixed results,or as of this last summer ,have just simply gone away into the sunset,WE are still plugging away,bringing in more unique brands and services for you! We'd like to thank all our friends and customers for making 2015 a better than expected year! Stay tuned to our store and site as we continue to seek out and introduce more higher value products and alternative brand names for players that "get it"
amazing,"better-than-stellar" summer ,and Thanks also go out to all our new customers who made the trek here, from out of the city and elsewhere. Thanks again to all our customers for an astounding "record bending" winter season ! Maybe it was cabin fever triggering all the gear purchases and insane number of guitar repairs and setups(not that we're complainin' though).It all added to be THE busiest AFTER-Christmas season in 4o something years . a slew of features not normally seen on pretty much any other small tube amps. With more and more players looking for more transportable,smaller tube amps to practice & record with,these amps can easily fit the bill without melting your Mastercard in the process.You owe it to yourself to check out sweet little amps! Imported locally,warranteed locally and serviced locally by Rainbow Music Shop! business meetings,providing sound for an evening of cabaret or dinner theatre, pretty much anywhere you need to "put sound" somewhere,but space is limited.An excellent plug & play setup for a few vocalists, an acoustic-electric duo,karaoke,single entertainers,aerobics instructor,solo/duo act with backing tracks.At less than 20 pounds per cab, the Ultralite all-in-one PA system includes two speakers with a 10" woofer and real compression driver and an detachable 8-channel mixer-amp module that latches onto the back of the speaker for easy transport and portability. 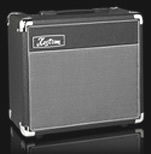 We've just received a limited shipment of Kustom Defender all tube combo amps. The trend towards smaller tube amps continues ripping along at s steady pace. The V5 (5 watts) and the V15 (15watts) both feature 12ax7 preamps and EL84 loaded output stages.These are straight forward plug & play amps with the simplest of controls for a pure tube path allowing for real world tube guitar tone that responds accurately, with all the nuances of your fingers.Up to now,unseen and unavailable in the area,WE have them ! AND....They're affordable . tips chewed up with a guitar from our shop.Now in stock, in a slew of finishes ! PG mikes.Sm57 and 58 mikes as well as specially priced mike packages. higher quality brands, when you're ready! amps are covered by our own in-shop warrantee and in-house service dept.We're stocking an ORANGE amp that's within every player's budget for a better quality amp.Check 'em out now at our 1418 Piit location or on our site as well. -The new VOX SoundBox Mini is a fun, grab-n-go type of mobile media player with optional battery power. It can be used with any audio source, from MP3 players, to microphones, as well as instruments such as guitar, bass, and keyboard. VOX SoundBox Mini features new proprietary Acoustage sound technology, as well as a rugged, die-cast aluminum casing for use anywhere. Outlaw Effects give you the tools to create big, bad, boutique tone at prices that are almost criminal.Our analog pedals feature true bypass switching which keeps your tone transparent. Micro-sized encasings and staggered inputs/outputs mean they occupy minimal pedal board real estate. An ultra-durable aluminum alloy chassis and high quality components make Outlaw Effects ready for the road. everyone in the music biz! We'd like to once again thank all our friends ,customers and,even moreso,an ever increasing slew of newer customers,who've decided to "change camps"" and chosen to make our store their store.You've all helped make this last year one of our busiest,especially for our repair dept and woodshop.You can be assured we aren't content sitting around on our "axes" either,as we will be introducing many more new products and services over the upcoming months of 2015.We thank you for your business and trust-stay tuned for more developments! TubeScreamer overdrive built-in finished in a snazzy two-tone vinyl that looks like it came straight out of the 50's. volume pedals,their expression/voltage controller pedals,and their clever ABC selector pedals(great for multi-guitar players).Get a Morley and step on it ! 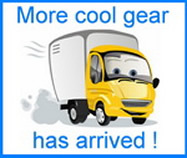 Over the next weeks,keep checking our 'consignment" section on our USED GEAR page as well our Kijiji ads.We'll be adding lots of interesting gear customers have decided to part with! Consigment Gear Alert! suppliers and company reps are digging deep to find us more deals than ever and passing 'em over to us.Soooooooooooo,keep an eye on our site,and in-store,as we bring in many one-time only special buys and limited stock deals as well as gear, and brands you likely haven't seen available(until now)in this area! candy" models.Their vast range pretty much ensures they (and WE) have an effect pedal for you and your pedalboard.And oh yeah-they're very affordable! Check 'em out in our store at 1418 Pitt and here. 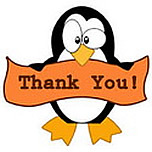 Thanks go out to all our friends & customers for an unusually busy summer season. 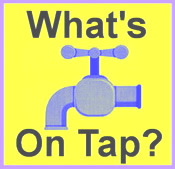 we were too "occupied" to notice.While many of our "big box" competitors have been actually reducing their selection of products,WE brought in many new product lines to the area,and stay tuned ,as we introduce several newer lines(stuff you don't see every day,everywhere else). Congrats to Gary Henophy of Williamstown,Ontario.Gary is the winner of our July In-Store draw.The draw prize for July is a Danelectro E-Studio headphone amp. Our year long IN-STORE DRAW will be wrapping up at the end of August,so this is your last chance to get in on winning the last draw of the year! familiar with Alvarez,we'd invite you to check out their site here ,and then,check them out in person in our shop at 1418 Pitt Street.And,like all guitars WE sell,all Alvarez guitars include our own custom shop setup that easily surpasses any "factory inspection/adjustmensts",ensuring you get the best playing guitars available anywhere. Congratulations to Brandon Chenier,the winner of our JUNE in-store draw. 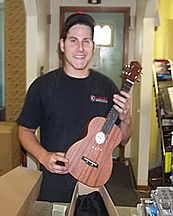 Brandon takes home an Ibanez Ukelele Package,complete with gigbag & clip-on tuner. The June draw also helped kickstart our "launch" as Cornwall's new Ibanez dealer as well.June has already proven itself as one of the busiest month's we've seen. the next time you visist our store-A different prize is drawn every single month! with built-in slapback echo/vintage overdrive/line-out and headphones included! Like the saying goes: You can't win if you don't enter ! Thanks again to all our friends & customers for your continued support. We are now the new Authorized Ibanez Dealer for Cornwall & area. We will be stocking the widest selection of Ibanez electric & acoustic guitars,basses, amps fx pedals & electronics,in the area. Players looking for a better playing Ibanez in this area no longer have to settle for an Ibanez that plays like it came straight-out-of-a-box. shielding.reliability upgrades and custom tone mod's, as well as our superior after-sale service.We can easily guarantee an Ibanez from our store will play & perform considerably better than what was previously available anywhere else. Regardless of price tag,we simply offer the best" Ibanez bang for your buck"! Annnnd, to to help kickstart this "Ibanez Re-launch",fill out an entry form in-store, for our Special Ibanez IN-Store Draw during the month of June. The June Draw Prize is an Ibanez Ukelele outfit including gigbag and digital clip-on tuner! Ryan gets his choice of a D'addario TEN PACK of acoustic or guitar strings,so he'll be set for a summer of playing.Make sure you enter our special JUNE Draw with the draw prize being the Ibanez Ukelele pack with gigbag & tuner,which will also help kickstart the launch of Ibanez Guitars now being carried exclusively in our store! Draw.Cynthia is the lucky recepient of a complete Shure Microphone and Stand pack. If you haven't entered our IN Store Draw yet,what's holding you up? Yes,we've received yet another large shipment of Norman guitars ! The finely crafted superb sounding Canadian made instruments have been out selling many of the other higher priced,higher profile brands out there.Norman just keep consistently making great sounding ,higher value,bang for your buck guitars,and we likely stock more models than even "the big guys". This latest shipment includes the B18,B20 and the premium level B50 studi models,in acoustic and acoustic-electric versions.As with all guitars WE sell,all are setup in our own shop to play effortlessly. Check 'em out! Now in stock from those clever folks at Godin is their answer to a very high quality acoustic-electric ukelele that is defintely heads above the average ,typical ukelele. This Canadian made, tenor size, electro-acoustic Ukulele finds its home within the renowned Godin Multiac Series of guitars, known for exceptional amplified acoustic sound without feedback. The MultiUke follows suit, in its own “little” way, featuring a chambered mahogany body design, solid cedar top, rosewood fingerboard & bridge, custom voiced electronics and onboard preamp with 3-band EQ. 17" Scale. 1.375" nut width. Custom voiced RMC electronics & onboard preamp with 3-band EQ - treble, mid, bass and volume sliders. Comes with a premium quality ,padded,LogoBag. before,this box set will definetely turn him into a full fledged Beatles connoiseur. Thanks go out to all who've entered so far , for making this monthly draw a much talked about fun event throughout the area. make sure YOU fill out an entry form when you next visit our shop and enter our draw for the Month of April.A different draw prize is handed out of every month! 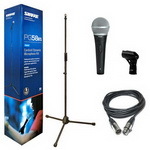 The Draw prize for April is a Shure Vocal Microphone pack complete with cable,clip and mike stand ! We' would like to once again thank all our customers (new and old,of course) for their business throughout this winter season,making it one of the busiest ever in our 40+ years in operation,While many of our competitors have been cutting back in their selection & services,we've actually been able to add many new products , product lines and services to our store ,thanks again to your continued patronage and "feedback" . We now have the innovative new Merlin in stock !Made in LaPatrie Quebec, Canada and inspired by the dulcimer, the Seagull Merlin is a very portable & compact 4-string diatonic acoustic instrument that is simply fun to play and very hard to put down! Highly portable and great for taking to school,on the bus,camping-you name it. Our second shipment of G&L Tribute has arrived and now in stock.This shipment includes the Legacy with ash body,The S-500 and the Commanche models.All models include Authentic G&L pickups and G&L fulcrum vibrato units and Leo's innovative PTB control system for yielding a much wider range of tones than conventional guitars can.Check 'em out now in a nice range of colours and models! "Guitars By Leo" are now in stock! G&L Tribute Series electric guitars(with more on the way). Leo Fender MFD USA single coil pickups for that classic spankin' tone as well as Paul Gagon Design P-90 and humbuckers.These also feature Leo's innovative SaddleLock bridge for enhanced tone,sustain and stability. The Tribute® Series is dripping with authentic G&L mojo at a price attainable for every working musician. 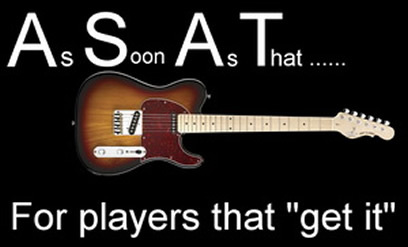 Once you play a G&L Tribute Series, you’ll never look back.Starting from $595.00-Including our own custom shop fretwork with better than 3/32' action,re-voiced tone controls,premium padded gigbag AND free TWO YEAR seasonal maintenance coverage.The best deal is here at Rainbow Music Shop! More details in our guitars in stock section. Congratulations to Martin Lefebvre of Long Sault,Ontario,the winner of our February In-Store Draw.Martin wins a SoundTech Guitar-To-USB interface with software bundle that lets you connect and record your guitar with your pc or laptop computer. 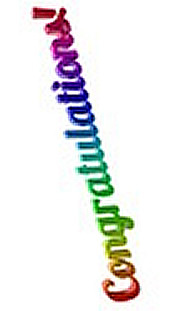 Thanks again for your business, to all who've entered so far,and make sure you enter your name for our March Draw the next time you stop by our shop.Like the saying goes: You can't win if you don't enter . The Monthly In-Store Draw Continues! Our March Draw will be for The Complete Beatles GiftPack-The two book collection of The Beatles songs,from A to Z. A classy deal that comes in it's own protective sleeve. Congratulations to Gary Dunham of Pointe Claire QC who won our January in-store draw.Gary takes home a Korg BeatLab advanced metronome and rhythm trainer,so can always be "in-time,all the time !" Thanks again for your business to all who've entered so far,and make sure you enter your name for our February Draw the next time you stop by our shop.Like the saying goes: You can't win if you don't enter ! The draw prize for February is The SoundTech LightSnake.This LightSnake cable is a 1/4” to USB cable that is ideal for recording guitars or other musical instruments on your computer. The LightSnake instrument cable is basically a “Soundcard in a Cable” that allows you to record digital audio directly onto a computer. It is as simple as connecting the 1/4” mono plug of the LightSnake cable to an instrument and then connecting the USB end to a computer USB port. This is a true USB plug and play connection. No additional drivers are needed for most operating systems. 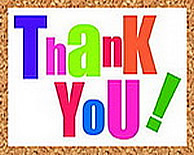 We'd once again like to start out this new year by thanking all our friends and customers(new,old and re-discovered!) for your business. As the recession/cheezy economy continues to chew through every type of business with a front door,(don't believe what the gov't would want you to believe)it's nice to see people that still "get it", after all these years,as well as those that finally do "get it". As we continue to "plug away" , many of our competitors continue their bizarre trek to the bottom,shedding products ,brands,(and service),striving to be "the cheapest" ,leaving musicians with basically the same homogenized line-up of guitar,amp and FX names across the board.A few remaining stores seem to be biding their time till they too,get gobbled up by larger competitors or suffer getting steam rollered by the bigboxer darlings of the month.It's never boring.. Pick any half-dozen music stores and see what we mean.Other than the slightly varying signage,you'd swear you're re-living a case of deja-vu meets Groundhog Day,all over again. One of the biggest increases in our business in 2013 was from musicians looking for something different,other than the stock-run-of the-mill brand name gear available from every other music store and internet dude hidden off the proverbial radar, in a warehouse somewhere. 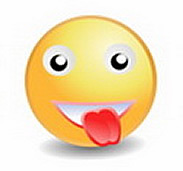 So,,,,continuing what we started quite some time ago,2014 will see our shop become even more "boutiqe-ee"
(is that even a word?) 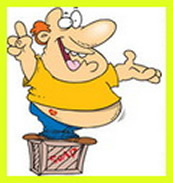 .We will be rolling out several new interesting,higher value products , brands,(and services! ),presently "unknown"(more or less)in the good old Seaway Valley area. We are likely the only,truly, unique music shop in the area that not only specializes in selling guitar gear ,with a custom service shop in house,but we also manufacture a wide range of guitar amp and PA related products as well. Our in-house custom shop will also be building and releasing a large number of new products over the course of this year as well.Please note that our store's retail hours have changed to allow for more time building gear. Congratulations to Matt Vachon,the winner of our December In-Store Draw. Matt gets a cool retro styled guitar rug, loaded with classy guitar graphics to "adorn" his music room.Thanks again to everyone who has visited our store over the last several months and,,,for your business! Our In-Store Draw continues into January as well,with this month's draw prize being the Korg Beatlab,great for practicing with,getting your rhythm chops tweaked and improve your sense of timing with tricky rhythm patterns.Don't forget to fill out an entry form in-store, the next time you stop by our shop-no purchase necessary of course!. Congratulations to Malik Croney of Long Sault,the winner of the November In-Store Draw.Malik gets to take home a Vox Pathfinder Ten guitar amp to rock out the holidays with.Thanks again to everyone who has visited our store over the last several months and,,,for your business! Our In-Store Draw continues into December as well,so make sure you fill out an entry form when you drop by and visit our shop.December's In-Store Draw will be for "The Guitarist's Carpet" a great add-on for any music room floor or adding some class and hanging it on a vacant wall.Like the saying goes: You can't win if you don't enter ! 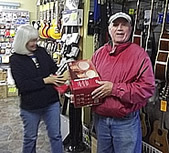 Congratulations to Dave Bough of Cornwall,the winner of our October In-Store Draw.Dave and the missus take home a pair of pro quality,tunable StaggWood Bongoes and a Mini-Conga-great timing for making music during the upcoming holiday season right? Thanks again for your business! Our In-Store Draw continues into November as well,so make sure you fill out an entry form when you drop by and visit our shop.This month's draw is for a cool Vox Pathfinder Ten guitar amp & comes with our own custom guitar cable and headphone bundle pack. Congratulations to Ken Laprade of Morrisburg,the winner of our September in-store draw.Ken takes home a Limited Edition 4-pack of cool Danelectro FX pedals to rock out with.Thanks to everyone for kicking off our mini-draw to a rousing start as well. Our In-Store Draw continues into October as well,so make sure you fill out an entry from when you drop by and visit our shop.The prize pack for October is a pro quality,all wood,tunable set of bongoes and a tabletop LP Aspire series mini-conga.Great for house parties,get togethers,campfires and general noise making! Even though we already stock a superbly wide range of strings,sticks & heads,etc..We want to ensure we're getting it "right" for you.Help us help you by sending us an email at info@rainbowmusicshop.com and letting us know exactly what strings YOU are using on your acoustic and/or guitars,and basses(mando's, banjos too! ).Not just the brands,but the specific guages and/or the models too. If you play drums,let us know what brand and models of drumsticks,and drumheads you usually play with as well. Wanna meet some new blondes? We have the latest new "models" from Norman Guitars.The Expedition series feature all cherrywood blonde tops,back & sides,finished in satin laquer,Indian rosewood fingerboard and bridge, Graptech Tusq nut and compensated saddle & diecast tuners round out these simple,superb sounding instruments. The level of Canadian craftsmanship is always evident, but what's surprising is these new models are even more afforably priced than previous models,easily trouncing like-priced imports in the process.We have the dreadnaught and parlour sized models in stock as well as the acoustic-electric versions,equipped with the Fishman Isys+ under saddle pickup system ,with built -in tuner.Like all guitars from our store,they are all individually shop customized to play better than anyone else's and WE include a premium level padded gigbag.Models starting from only $349. The latest,upgraded versions of Decimator and G-String Decimator pedals have arrived.If you need the ultimate in noise reduction for your amp or fx pedal setup,it literally doesn't get any better than this ! You asked "where'd they go?" Okay,so they're back,finally.Starting the first week of September,Our Weekly Specials are back.A different bunch of cool specials every week, every Monday to Saturday,saving you a bunch of bucks in the process! Check out this week's specials right here. We are constantly checking out products from around the world for musicians,and we always seem to "stumble" on a lot of brands that seem to slip under everybody else's radar.WE started selling Olympia guitar strings several months ago,and players are digging 'em ! Well now ,Olympia has introduced their "AntiRust" acoustic strings and we have those in stock too. Check 'em out.And did we mention "easy on the wallet?" Summer 2013 proved to be a surprise even to us,as we were too busy to notice it speed by as fast as it did.Despite the sad fact that both the International Guitar Show in Montreal and the Miac music dealer show in Toronto,BOTH got cancelled within a few months of each other, not to mention a few more stores that either buckled or got gobbled up over the last few months.WE just kept rolling along,doing our thing.We've been doing a record amount of repairs and set-up work, coming in from literally everywhere.That pretty much speaks for itself,but who knew our custom shop would have picked up that much steam,building speaker cabinets,rack sleeves,mixer cases and lots of other cool stuff for musicians.You can take a sneak peak at some of the products by clicking here. These hours will begin Sept.1 thru November.Extended holiday hours will be posted at that time. As we mark our 40PLUS years in operation this year ,we'd like to once again thank all our customers for their continued trust & business during this wild & wacky summer. We'd also ask you to stay tuned to our store (and site)for several new product introductions over the next several months. We're also adding more services,as well as many "IN STORE ONLY" exclusive deals & promos that we'll be rolling out, over the fall, as our way of saying "thanks" for your business! 2012 marks the start of our 40th year in operation ! Where the heck did the last 39 go anyway? Who knew in '72,that we' d evolve over the last 4 decades to become one of the premier custom shops for guitarists.What started out as a a very modest sized service shop a few blocks west, to our larger,more accomodating free standing building some years later on the main drag in the city has "cemented" our presence in the region even more. We must've been doing something right. Okay, we know we've been doing a number of things better.We still do ! While many,many,competitors(and unfortunately,some suppliers as well)have come & gone over the course of these last 39 odd years ,some with a whimper,some with a bang,we've managed to outlast pretty much all of them including some of those trying to re-invent the wheel,but were short on spokes. Still others, changed ownership so many times you'd need a family tree-chart to keep track of them. Yes,WE'RE still independantly operated & owned. This store has always strived to be different than run-of-the-mill,garden variety, me-too type music stores,from day one,and we'll continue doing so for players who "get it" A lengthy look thru our website & store bears this out. With this,our 4oth year in operation,we would once again like to say a big Thank You to all our friends and customers(and of course, our competitors)who have contibuted to our success over the years.We literally couldn't have done it all without you! What's in store over the next 12 months ? Well,as the store evolves yet again,you'll be seeing several expanding services from our custom shop as well as even more unique products and brand names. We will continue offering players something different and better than what every bigboxer and onliner is dumping onto the marketplace. To kick off our 40th Anniversary we will be offering some incredibly enticing Wacked-Out-Weekly (W.O.W) deals for the next FORTY WEEKS (! 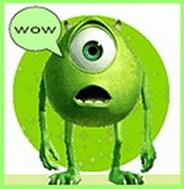 ).Yep,a different set of W.O.W deals every single week,for the next forty weeks. The new line of Bedell acoustic and acoustic-electrics from Tom Bedell and Breedlove includes all solid,Alaskan sitka spruce tops,mahogany or rosewood backs & sides,mahogany necks with dovetail joint construction and bone nuts & saddles. Defintely one of the better sounding "imports" that's been getting a tonne of press "buzz" as one one of the best sounding guitars out there,with features normally found on considerably higher priced guitars. All Bedell Guitars from our store also feature our own custom shop set-up for even better than factory spec playability,and are covered by our own TWO YEAR free seasonal maintenance coverage,ensuring your guitar will stil play & sound great for years to come. Behringer's logo is "We Listen" .Okay so we heard from all the folks who wanted a localsource for Behringer in this city that could back them up,instead of chasing all over the planet,wasting time (& money)travelling back & forth out of town and/or dealing with online nightmares when they needed service.So- for all the folks who demanded it-we now stock Behringer gear! If you're within "shouting distance" of our fair city and store, it simply no longer pays to travel elsewhere or order any Behringer gear online,from some god forsaken faceless, brick-less online entity in order to shave a nickel down by a penny. To put it in even simpler terms-Buy your Behringer gear from us,locally, and get it backed up by us ! Vox has recently introduced several new amplifers catering to players who only want the simple,unprocessed,raw tone that you can only get from an all tube amp design AND,they've managed to pull if off at very affordable prices ! Check out the L'il Night Train and vintage creme vinylcovered "TV front" AC4 micro-stacks as well as the latest AC4 combo amp in royal blue vinyl-very classy looking and amzing sound from a low wattage setup ! Cobalt provides a stronger magnetic relationship between pickups and strings than any other alloy previously available. Cobalt Slinkys are also soft and silky to the touch, making string bending a breeze.Now in stock in all popular electric guages. One of the the newest additions to our bass amplifier line-up is Overtone.This new series of high powered, ultra-compact bass amps is packed with features in an amp head smaller,and lighter than the average laptop ! By using state of the art latest Class D technology,the Flyweight Amps put out a walloping 250 watts and 500 watts r.m.s .To complement the amp heads,they’re also available with matched 1x10” bass cabinets or their 4x8” cabinet with sound and low-end that can easily rival any typical 1x15”. These new compact rigs from Overton are also a lot more practical if you, as a player,need a bass rig that you can just pick up & go,when you get a call for a small,quick gig,impromptu recording session or last minute practice-on-the-fly. We are the sole importing dealer into Canada for these amazing bass amps,and have them specially priced with a bonus foam-lined,zippered transit bag and heavy duty Speakon cable included! So,if you’re tired of lugging around that set of 15’s or 8x10” and your back specialist is telling you so,then this is “yer sign”. The Hofner Shorty is back ! The legendary little guitar that was widely popular back in the ‘80’s is back in production.This guitar has FUN spelled all over it-it’s so frick-kin cool !We’ve imported our first batch in three meticulous finishes and we can easily say they’re superb with fit & finish better than ever.Like all guitars WE sell,we also perform our own custom shop fretwork(something they DO need)to allow insanely fast action, as well as shielding,and revoicing the tone control(also needed).Our custom shop setup easily guarantees that a Shorty from our shop will easily outperform any other one you’ll find online ,or elsewhere,for that matter. What makes the Shorty so cool compared to other “small” guitars? You don’t need a special heavier string guage to keep proper tension & tuning.The neck scale is a very comfortable 24.75” for a familiar (G-style) feel.The badass style bridge allows lots of room for accurate intonation adjustment.The “stock” humbucker pickup’s sound is nothing short of surprisingly good (!) so there’s really no need to swap it out unless you reaaaaly want to.It’s actually that good-go figure.The Shorty’s overall length of 32.5” makes it an easy stowaway travel guitar,even a a backup or go-to guitar for rehearsals and pickup gigs.That,and your back won’t be aching after three hours of playing it ! Specially priced at $199.00 including logo’d gigbag , and our shop setup, in red,blue or black. 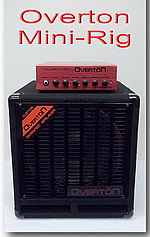 As “The Trend” towards playing gigs requires more and more players to downsize their amp & P.A rigs,just so everybody can actually fit onto smaller club stages & venues,a look into carrying around a smaller,lighter bass rig just plain makes more sense and we offer bass even more choices in compact, high powered bass systems like the Ashdown MiBass 220 and Mibass 550 bassamps.These ground breaking new bass amps are packed with more features than you can shake a stick,yet housed in a sleek all metal enclosure no larger than a DVD player. 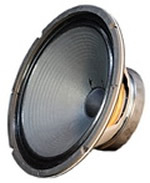 These latest bass heads also feature a Bang & Olufsen(Google it!) designed power amp section for stunning clarity,mated to the Ashdown preamp with that signature british tone that Ashdown is known around the world for. NuX? 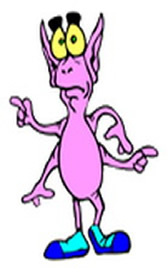 NuX?Yeah,we know-who? Stay tuned.You’ll be hearing more from this company and you heard it from us first. We have the latest import from Nux Electronics,the Mighty 15 guitar amp.This unassuming little amp might have just slipped under the proverbial radar if we hadn’t been paying close attention.Luckily we were. This dwarf sized beast features a separate clean and dirty channel,a built-in 6-string tuner,three band equalizer,a headphone/line out jack,an input for your MP3 player(so you can jam along with your favorite band right? 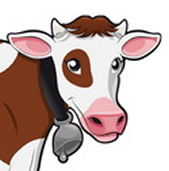 ),an auxiliary jack for feeding in a drummachine-what else? Oh yeah,did we mention SEVEN built-in digital effects that are superb sounding ,thanks to high res 24bit processing ? Okay,there’s more. The Mighty 15 has a 6-position selector that lets you select some of the best sounding big amp “signatures” we’ve ever heard from an amp this size.Pretty convincing.No menus, editing or scrolling.just stupidly simple to get a kickaxe sound of a little box with a 15watt output driving an 8’inch sealed cab speaker.It truly earns it’s Mighty 15 moniker.How does it get better? Get it from us now for $169.00 and we’ll include an MP3 hookup cable AND a pair of headphones for rocking out late at night. Also new from Ashdown to bridge the gap between teeny-weenie underpowered bedroom level bassamps and stadium sized plaster crackers,comes the Mini-Stack. the very versatile tone section,deep switch and real 100watt output section dishing it into two Ashdown 10 inch speakers.This would make the ideal alternative to lugging your other bass refridgerator up & down stairs to a small club or church gig,or back & forth between gigs and the band's basement for rehearsals.The Ministack's extreme portability means even grandma the roadie can lift it into her SUV on her way to church.There's even an Mp3 input and a headphone jack for practicing on your own without getting evicted in the process.Buy the MiniStack from us,and we'll even include the Mp3 hookup cable,AND the headphones,all for $499.00 complete. 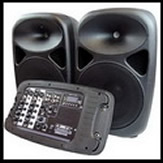 In keeping with our philosophy of bringing you something different and better,we now stock & sell WGS guitar speakers.These USA manufactured guitar speakers have quickly made a name for themselves south of the border(and now growing fast here)among even die-hard guitar speaker afficianados as a “primo”affordable guitar speaker (yes,even among fans of the “C” speaker).The folks at WGS in Kentucky have decades of experience between them in building speakers and they’ve managed to squeeze some amazing signature tones and performance into their line of speakers,all the while keeping the pricing within reason.Whether you’re replacing speakers in your Marshall or Twin,or anything in between,WE likely have a WGS 12-incher in US or British “flavours” that will make your ears(and wallet) happy. WGS speakers will also be available soon,in our own line of Sherlock Audio manufactured guitar cabinets,hand built in our own custom shop as well. piping and resin fibre grilles,metal corners and oversized top mounted bar handle. For guitarists looking for something unique sounding-this is the ticket. 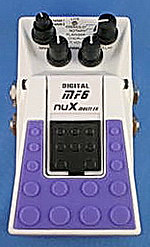 Another cool entry we brought in from Nux Electronics is the MF-6 multi-pedal. Yep-there’s lots of multi-this & multi-thats out there,but read on.Unlike some fx pedals that do a little bit of “cheating”when processing the audio,the MF-6 uses proprietary hi-res 24bit processing at 44.1k for stunningly clean response that shows.The really nice “thing” about this one little pedal is that it gives you unique sounding Flanging,Chorus,Rotary(leslie),Tremolo, Multi-voice and , Delays with up to 600ms,which can also be tempo-tapped(that can also be tapped with a remote footswitch).What else? You can also adjust the parameters for each effect,so you’re not stuck with a factory preset like you get with so many other “small” pedals. If you’ve run out of room on your pedalboard for more toys, or you’re looking for just ONE pedal that can do many needed tricks well(a rarity without laying out some serious cash),then the MF-6 would be one to look into.And we since we have it priced at only $149.00(less than the average quality single effect pedal !) that ,on top of everything else,makes it a no-brainer of a deal.